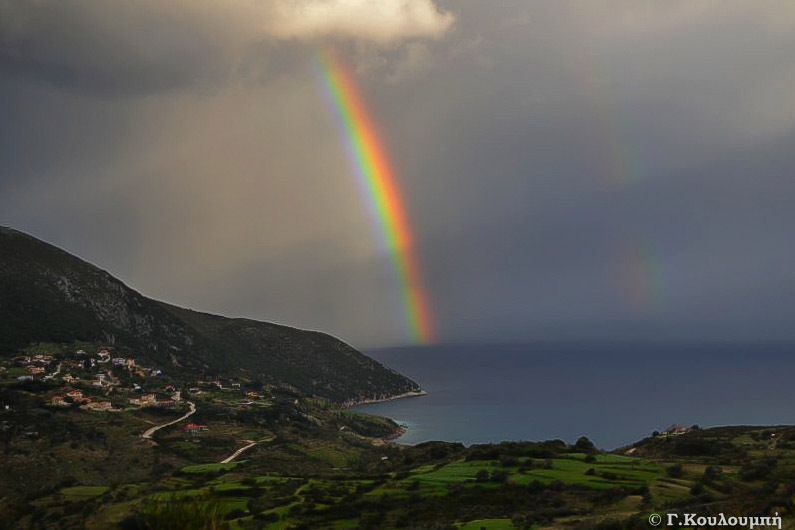 Kefalonia, is the biggest of the Ionian islands. 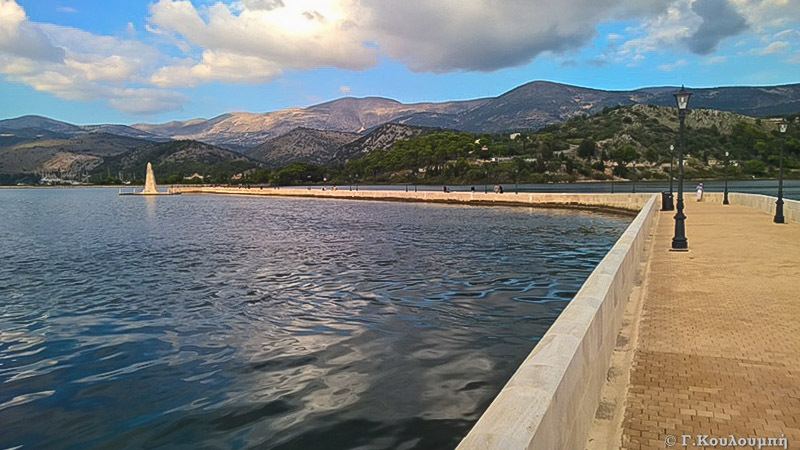 The Capital of the island is Argostoli or Argostolion, drive your car hire to the east side you will find the sea-lagoon Koutavos, where the turtles feed and also ducks. In 1813 a bridge was constructed by De Bosset, a Swiss engineer under the British army. 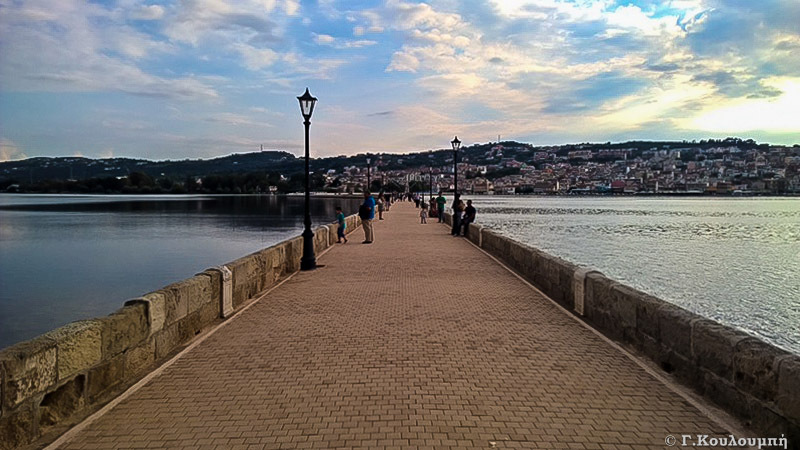 Park your car on the main road and just wonder out there for a beautiful walk on the bridge and cross to the other end at Drapanos. Cars are not allowed to cross the bridge but it is truly a nice walk and quite often you might find events taking place on full moon where traditional Kefalonian singing takes place, the Cantada or Kantada songs. 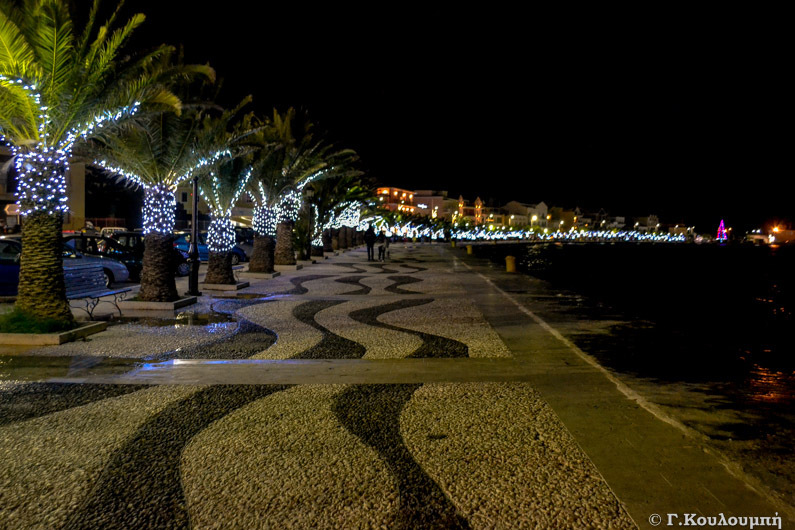 Get in your car rental and drive on the coastal road to the west and find yourself next to the Port authority, park and walk to lithostroto street, the commercial but beautiful road. Then drive to Katavothres, one of the geological phenomena taking place. 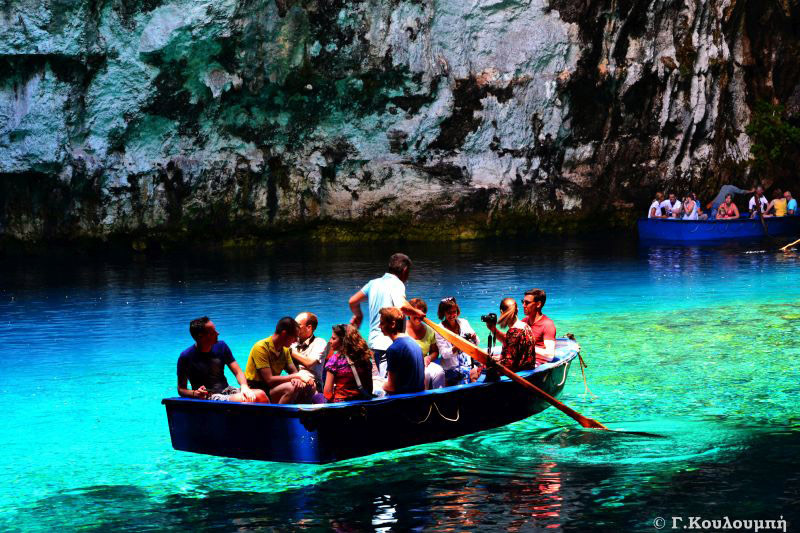 Park your car at the parking lot and walk behind the now restaurant bar and you will find yourself in Katavothres Watermill where the sea water travels underground and ending up at Karavomilos where the Melissani Lake is. 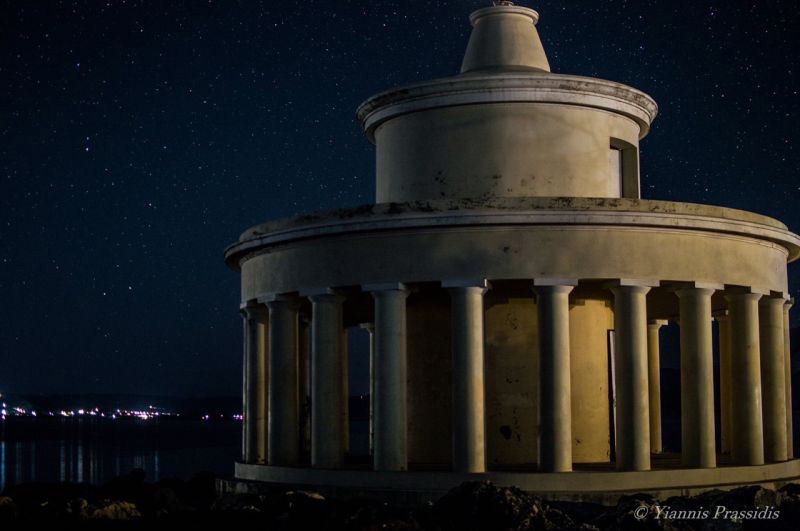 Once having enjoyed the view get in your car hire and drive further down to Agioi Theodoroi Lighthouse, originally built in 1829. 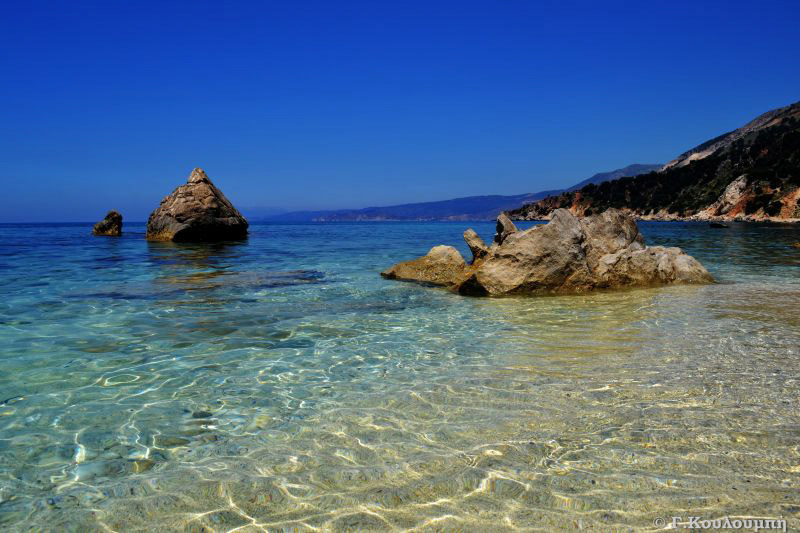 Continue by driving your car to the end of the road and meet Lassi, where is one of the touristic areas of Kefalonia. Also the Famous Makris Gialos or Long Beach, one of the most popular ones in this area, so park your car and enjoy a nice swim. 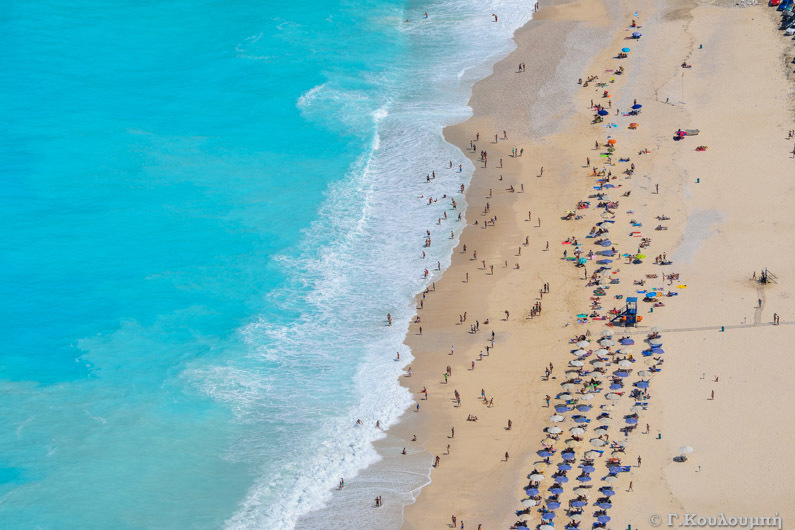 If you find it too busy, drive your car right next door to Platis Gialos or Wide Beach, where is also known to locals as a more family oriented beach and more relaxed. As you can see so far, one must have means of transportation to move around the island, hiring a car is more comfortable and safer to get you all around. Drive your car to the south part of the island pass the airport and find yourself in the beautiful area of Minies, Svoronata, Kourkoumelata. Wonder around the area and enjoy the beaches on the coastal road next to the airport. 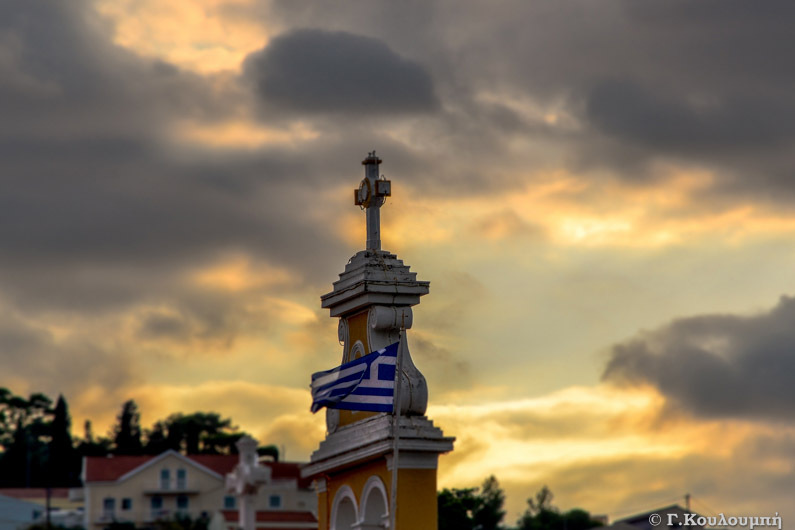 Drive your car rental towards the castle of St. George’s up to 1757, one of the first capitals of kefalonia, it is located southeast of Argostoli. Continue your drive south east and find yourself in katelios( approx.25km from Argostoli) , a small but picturesque fisherman’s village. 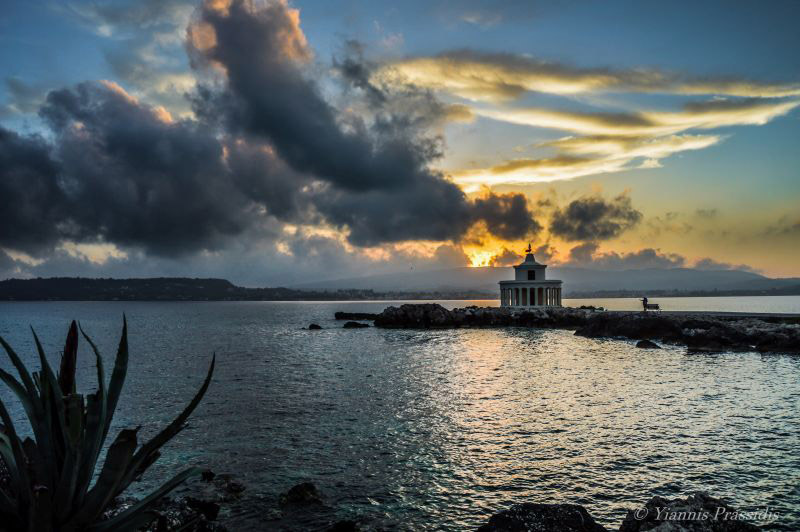 If you love fresh fish and romantic scenery, then it is an ideal place to stop for dinner. Hop in your car hire again and drive off to Skala, along the way you drive through the small beautiful villages e.g. Thiramona, Valeriano where the famous sailor Juan De Fuca or Ioannis Fokas (also know as Apostolos Valerianos) which found the root to the North sea and the channel that lies between Vancouver Island in the USA named after him the Juan De Fuca straight. Drive to Skala( very touristic destination) and if you enjoy a bit of historical monuments, visit the archeological site of the Roman Villa. 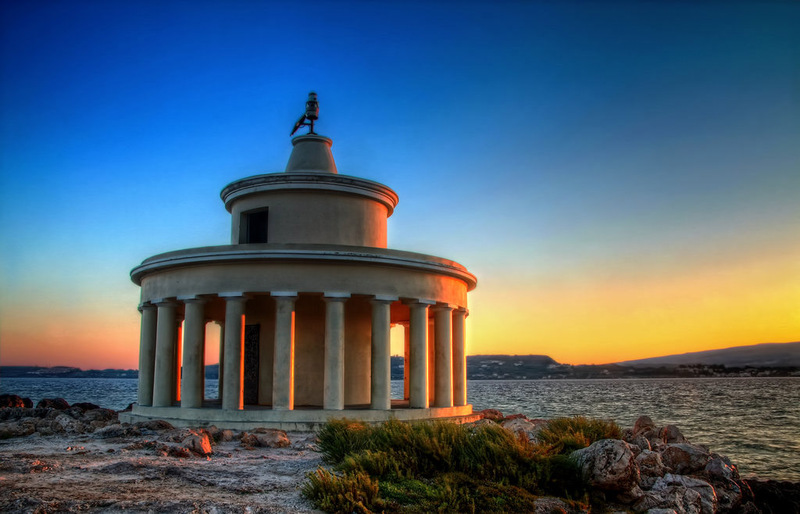 Drive off on the road from Skala to Poros and on the way visit the Archaic Doric Temple. 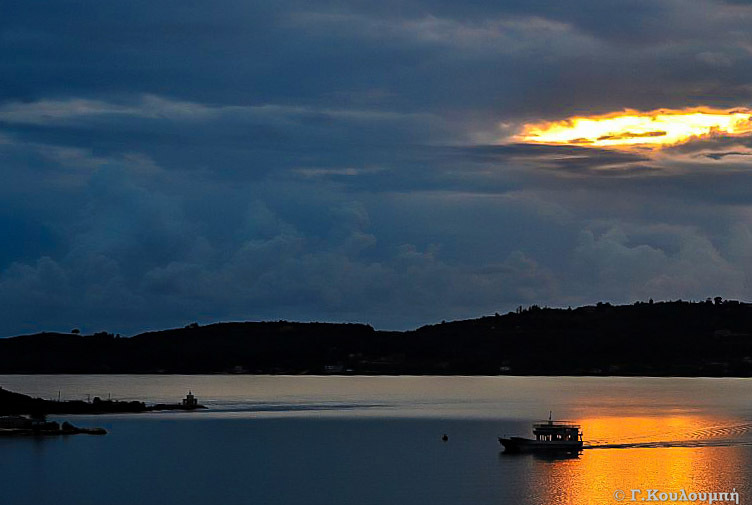 You finally reached Poros (approx.. 39km SE of Argostoli), Poros also is a major port connecting Ithaca, Killini and the Peloponnese. 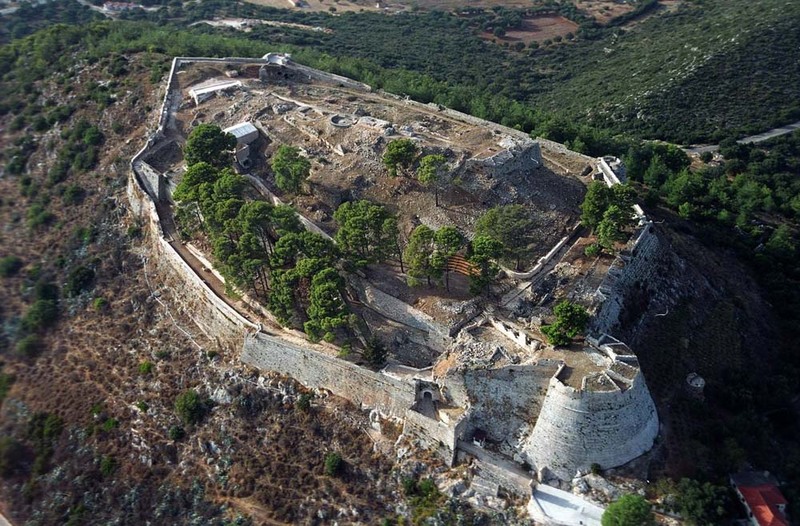 Get a chance to see the Mycenaean Tholos (Tomb) in near by village of Tzanata. There a few beach around but visit Aragia, nice and beautiful and not crowded. Hop in your car rental and drive off to Sami located on the East, along the way there you will be astound by the natural beauty of green in contrast with the blue waters of the sea. Sami is approx. 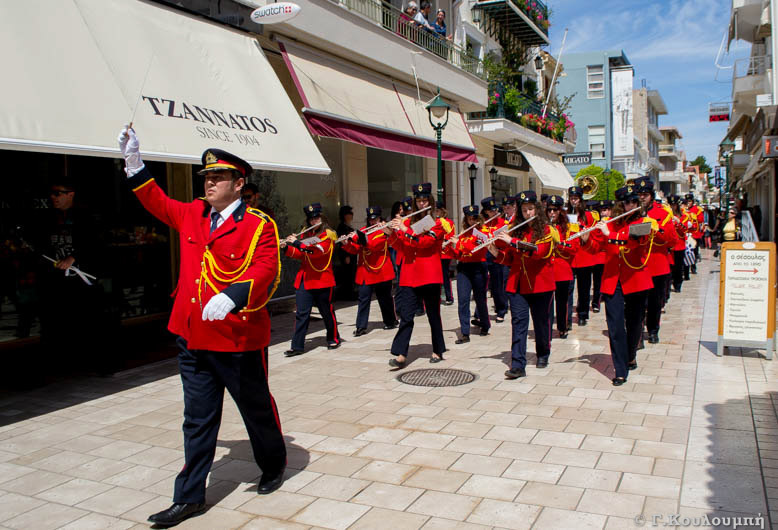 24km from argostoli and 15km from Poros, Sami is an international port and links Patras, Ithaca, Italy to kefalonia direct. 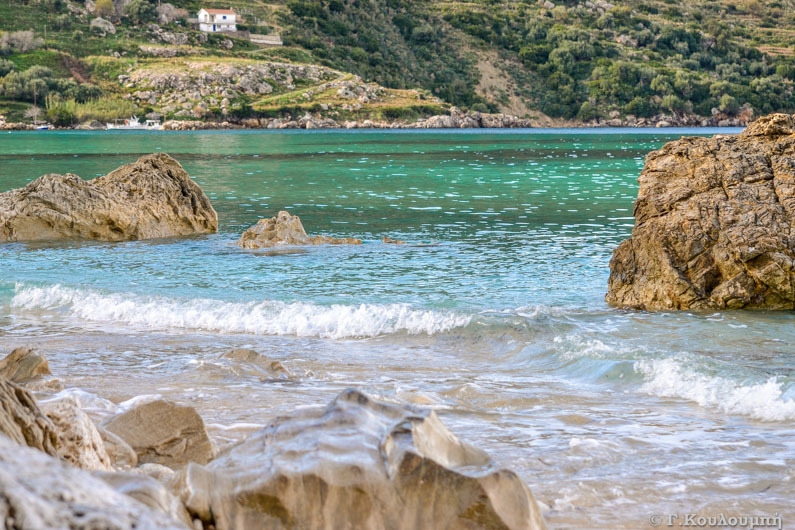 Also visit the famous beach of Antisamos, a magnificent and for those who enjoy snorkeling they will fall in love with it, also part of the scenes of Captain Corelli’s Mandolin Hollywood movie took place here. 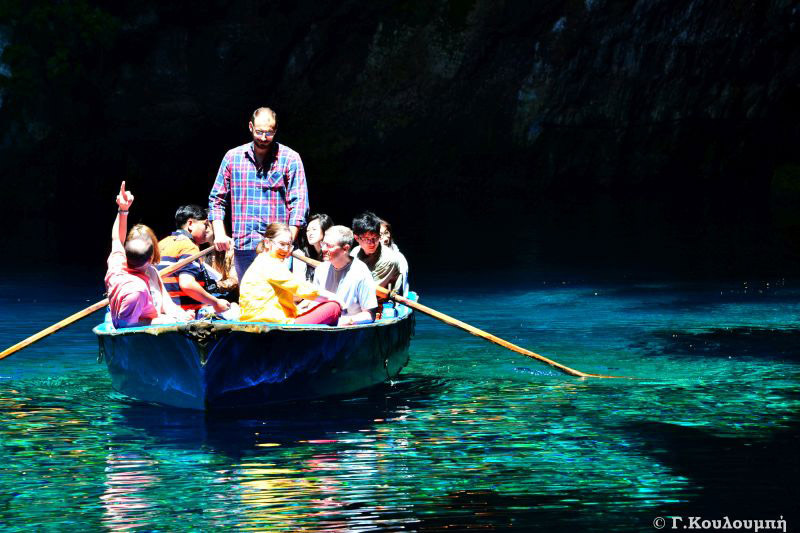 Karavomilos, underground lakes, stalagmites and more..
Jump in your car rental and drive to Karavomylos, only a few minutes away and stop to visit the famous Drogkarati Cave ( Stalactites & Stalagmites) and the Romantic underground Lake of Melissani. 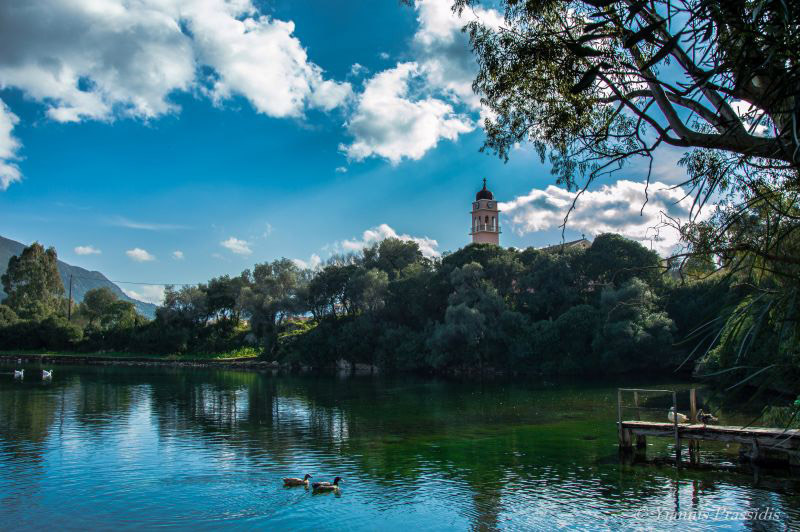 Least but not last the village of Old Vlachata – Vlahata, that was ruined in 1953, but today hosts the Saristra Music and Arts festival. 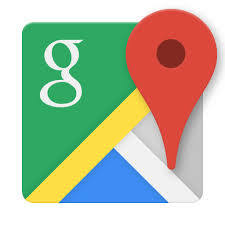 Hop in your car again and visit Ag. Efimia or Saint Euphemia(NE,8.94km from Sami and 34.19km from Argostoli), a small port and very picturesque, where many boat cruises take place here. 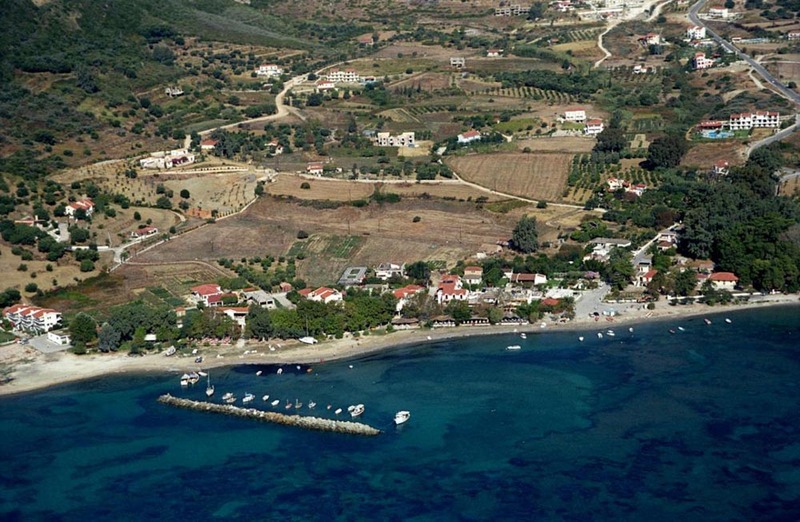 Drive off to Fiscardo and along the meet the beaches of Ag.Sofia and Chorgota. Fiscardo Bay the Northest part of the island (approx. 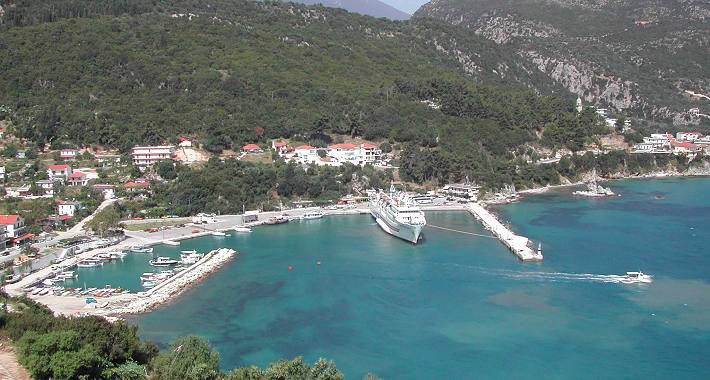 59km from Argostoli and 32km from Af.Efimia), a cosmopolitan place and lots of yacht tourism takes place here. A fisherman’s little village and on of the original architecture houses or Archontika of Kefalonia that was not destroyed in 1953 earthquake. 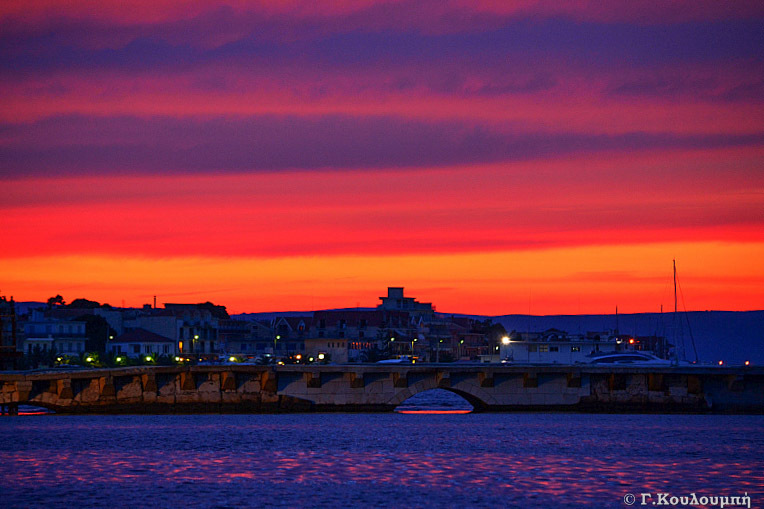 Visit the Nautical & Environmental Museum in the center of Fiscardo. Visit for a swim Foki beach, Emplisi, Kimilia, Dafnoudi, Alaties, Agia Ierousalim and many more. This area is perfect for snorkeling activities for those who love the seaworld. A nice drive around the vilagges of Ventourata, Tamarelata, Magganos, Vasilikades and many more will live you with a sweet aftertaste. 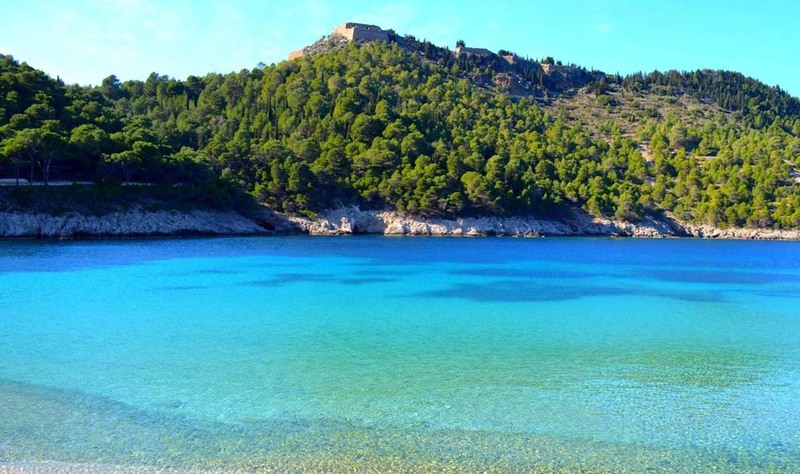 Next take your car to Assos Bay (approx.22km away from Fiscardo or 52km from Argostoli), located in the NortWestern part of kefalonia, visit the Venetian Castle of Assos and the beautiful village. 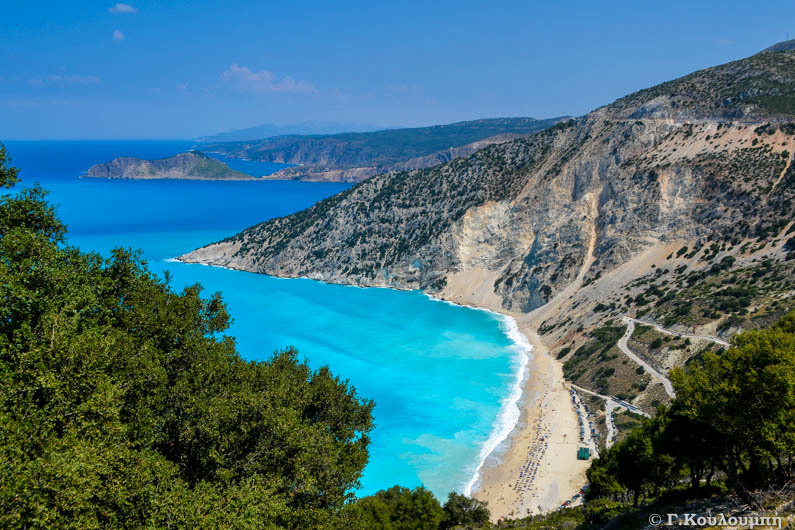 Drive your car to Myrtos or Mirtos Beach and fall in love with the magnitude of it, and if you enjoy paragliding this is the place that will stay in your memory forever, not only for the natural beauty of the Bay but also the crystal clear blue waters that seem endless. Next stop Agia Kyriaki ( approx. 11km from Myrtos or 20 km from the capital) for fish lovers and also for those enjoying renting a boat or be taken to beaches like Fteri, Vouti or a trip around the local area by small boats. 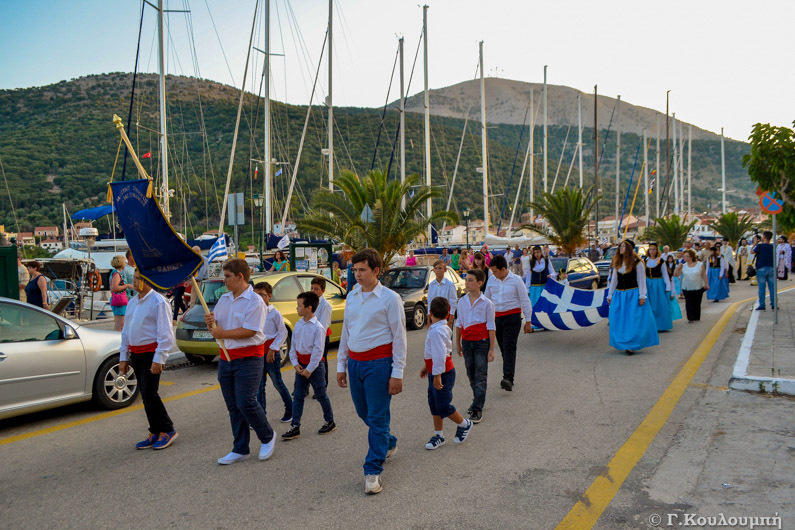 Last but not least, Lixouri in Paliki (approx.34km driving from Argostoli or take the little ferries across), Porto Atheras(NW approx..32km) it’s a very nice village with a local taste to everything, with many beaches around also the famous Petani Bay which is fantastic. 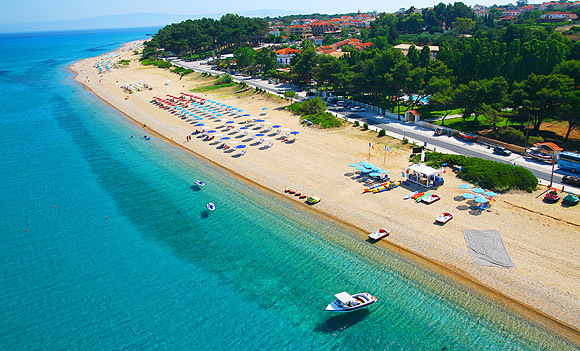 Drive off to Platia Ammos Beach, park your car and make sure to have water and snacks because you will be walking about 100 steps just to reach the beach. Feel like water sports activities? 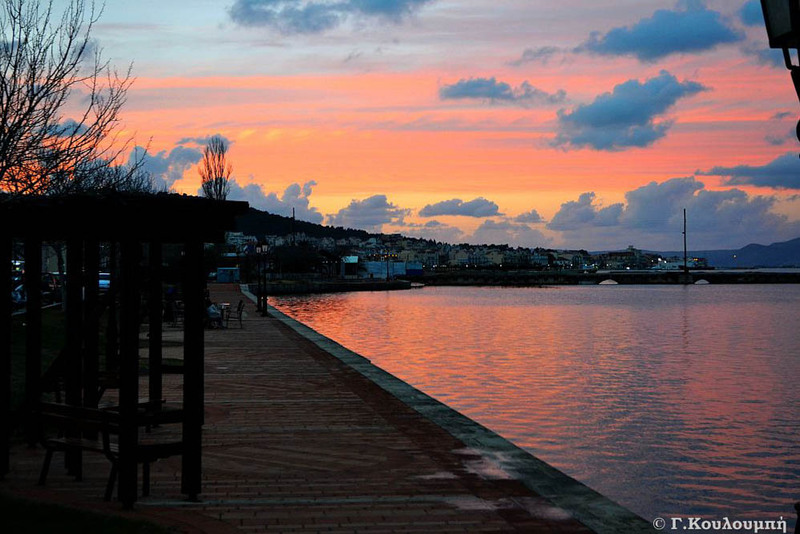 Visit Kounopetra and end up at Xi Beach, with its beautiful red sand. Drive your car rental to Ainos mountain with an elevation of 1628m (approx. 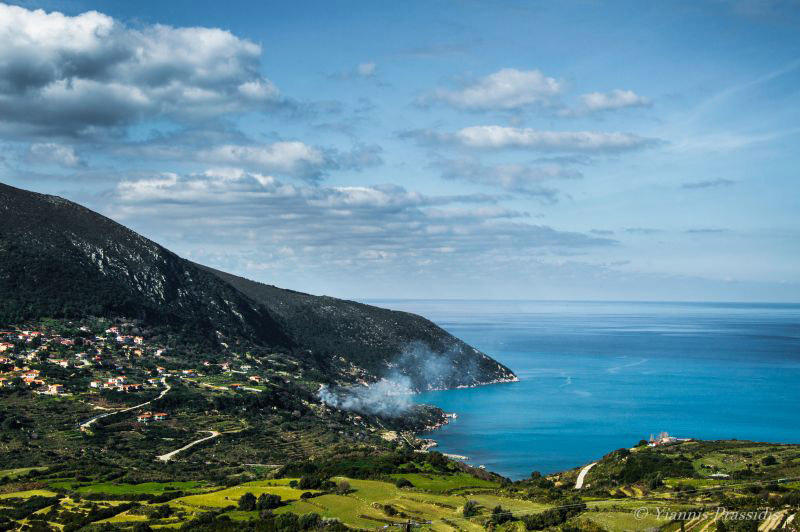 30 km from Argostoli) if you enjoy mountaineering activities, wild nature and wild horses is one of the places to visit with a stunning view of the whole of Kefalonia.